There’s something about this word…it’s both good and bad. Those of us that have teenagers can say that we experience this on a regular basis…I am lucky. My teenage girls have yet to experience this, and (knock on wood) they will not! Websters defines it this way: a feeling of dread, anxiety, or anguish. 1. A downtrodden feeling, accompanied by anxiety and a sense of hopelessness. Most commonly seen in those going through the mid to later stages of Puberty. 2. Most definitely NOT a valid source of entertainment. Or perhaps this one suits better! An intense longing or yearning for someone or something to happen in one’s life. Angst by its modern definition does not necessarily carry a negative connotation, and can be a positive emotion that many people seek out in relationships or in life. Angst is also common in dramatic relationships and can be a driving force that pushes two people to be together because of the fact that being apart from each other makes their hearts yearn for each other. We call this being ‘angsty’. Being angsty is the result of having an excessive amount of angst in one’s life. Honestly, it’s not only teenagers that experience this emotion. Adults do too! In fact, I’ve been experiencing angst in one form or another for about three weeks now. What’s the cure? Wine, of course! There’s nothing like really good wine to make you forget about your angst for awhile. Now, I know that wine is NOT the answer to angst….and not even a glass of great wine will cure it. However, opening a great bottle in the company of friends and/or family who will listen, just might be…. 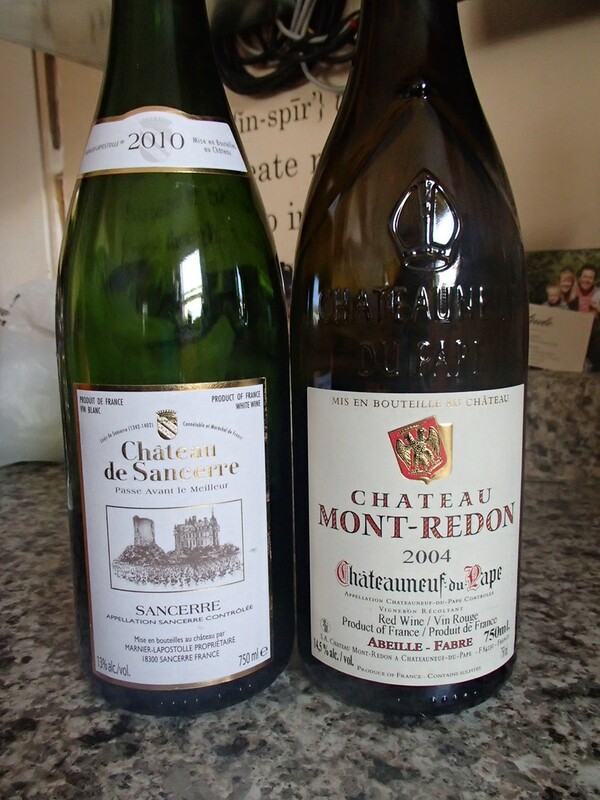 This entry was posted in wine and tagged Chateauneuf-de-pape, France, GSM, Sancerre, Sauvignon Blanc. Bookmark the permalink.